The warm soft light highlighted the different colors of trees on the lower slopes of Gavan Hill. 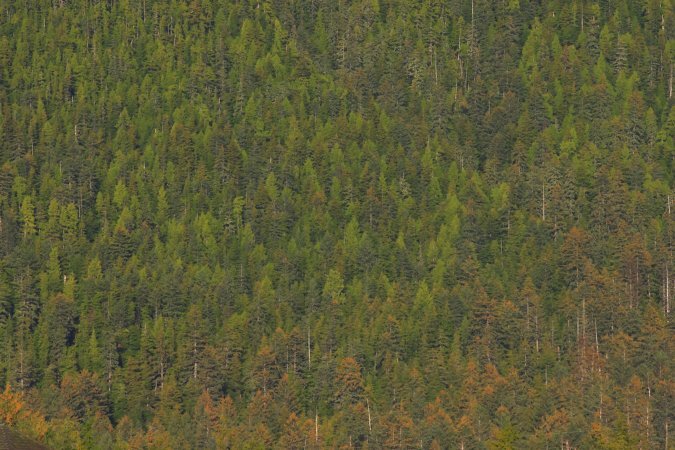 The trees at the bottom with brown/orange coloring are mostly spruce trees with an abundant crop of cones. I think the lightest yellow-green trees are cedars.